Do you wonder what “to capture the heart of your child means”? Peter and I have asked this question over the years and this has lead me to a study of the word heart. Which in turn has impacted the way we parent – the every day decisions, the way we relate to our children and the way we train them. to have their own personal relationship with Him? That is certainly our desire for our children. Though we can’t make our children choose Jesus we can create an atmosphere in our home where our children have the opportunity to develop their own personal relationship with Jesus. Our actions towards our children matter! We know that God ‘considers the heart’ and yet so often our parenting settles for the quick fix of external behaviour. Why is that? We don’t understand what the heart is all about! 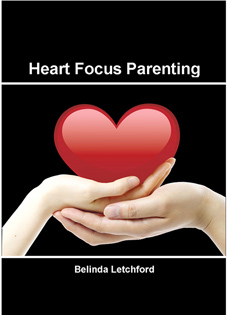 Heart Focus Parenting is a written in the style of a magazine (70 pages) which makes it easy to read and yet each article makes you think about things in your home, in your relationships. Do you wonder how to pass on your faith and values? Heart Focus Parenting will help you get there. International and Bulk orders see note below. I have converted HFP into an e-book to make it easy for international readers, but if you would like a book please email and we will discuss freight and payment.